Free Rolls-Royce VIN Decoder | Vehicle History, Specs, Recall Info and more! Check the original specification of any Rolls-Royce car, whether owned or not, using the free Rolls-Royce VIN Decoder. Simply give the VIN to get a free vehicle history report. According to a report by the NHTSA, some units of the 2015 – 2016 Rolls-Royce Phantom cars have airbags that may not deploy to an intended direction or location. As a result, BMW has issued a recall to address the manufacturing defect. 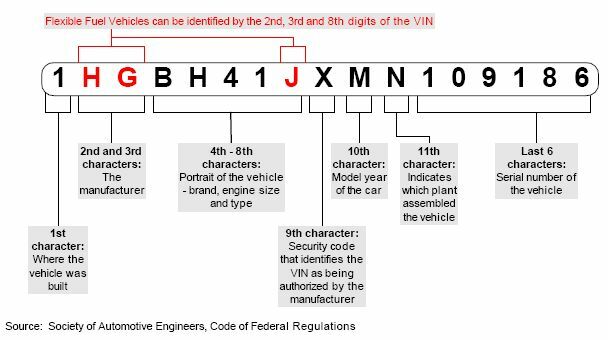 Aside from running a free VIN decoder, remember to check for any recall update about your own car and other cars that interest you. Fix any recall problem for free at any authorized Rolls-Royce dealer. How to Decode a Rolls-Royce VIN? Each character or set of characters within a Rolls-Royce VIN indicates specific vehicle information including the vehicle’s model and model year, make, where it was manufactured, and more. Here is a sample Rolls-Royce VIN, SCA664S5XAUX48779, which we have decoded using the diagram above and the decoding charts. VinCheck.info’s free Rolls-Royce VIN decoder instantly provides more than these vehicle specifications plus a free vehicle history report. We also provide information on the market value, equipment details, fuel efficiency, safety rating, current warranty, recalls and defects of a Rolls-Royce vehicle. To inquire about car parts and accessories, you may contact Rolls-Royce at +44 (0)1243 525700 (non-owners) / +1 877 877 3735 (owners). Alternatively, you may visit the Contact page. Why should I use a Rolls-Royce VIN Decoder? Check out VinCheck.info resources on Rolls-Royce which could be important to you as an owner or a buyer. For more interesting facts about Rolls-Royce, Rolls-Royce vehicles or to get a free Rolls-Royce vehicle history report, visit our Rolls-Royce VIN Check page. Enter your VIN below and run a Free Rolls-Royce VIN decoder in seconds!